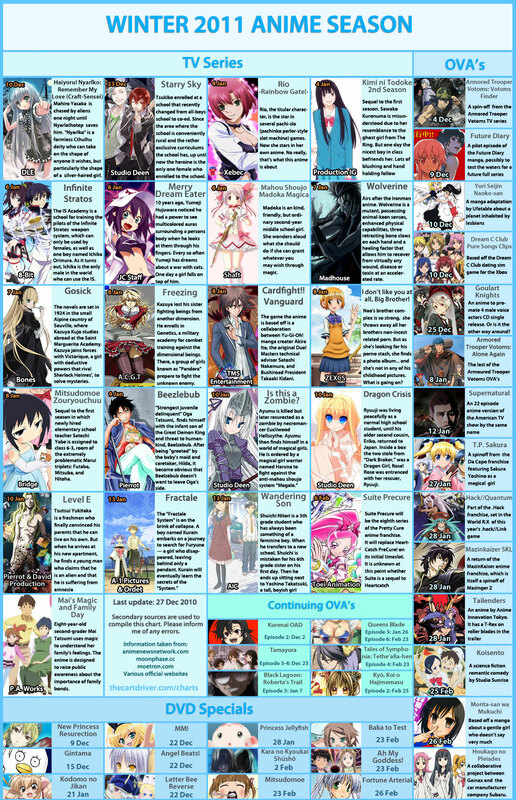 Winter & Spring 2011 anime preview chart by The Cart Driver. 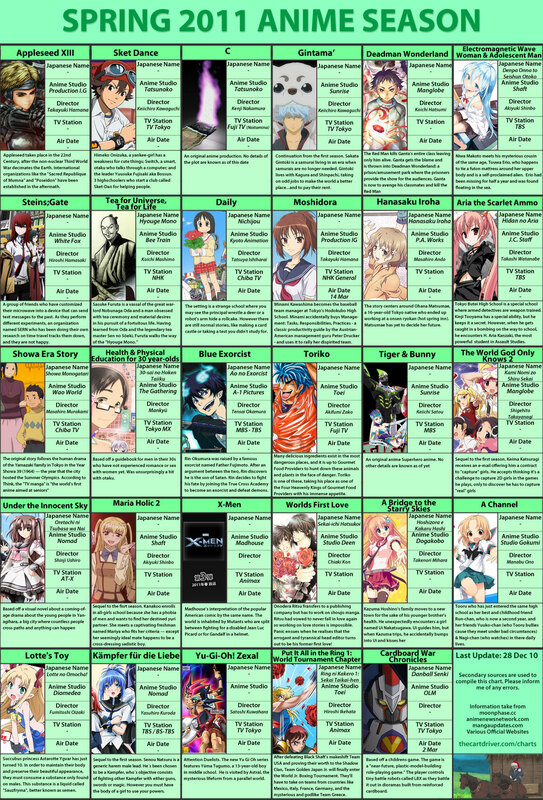 Hope 2011 will be better than 2010, at the moment guess I am sticking with Gintama first. Click image for full size.